On a trip down south, my parents came across a restaurant that served Broccoli Cornbread as the bread in it’s complimentary bread basket. After falling in love with it, my mom, being the outgoing and charming woman she was, convinced the chef to divulge the recipe to her. Upon returning from their trip, my mom told me all about this cornbread, which, I must admit at first sounded kind of strange. I decided to try it out as one of the first things I ever really cooked before, and needless to say, I was addicted. 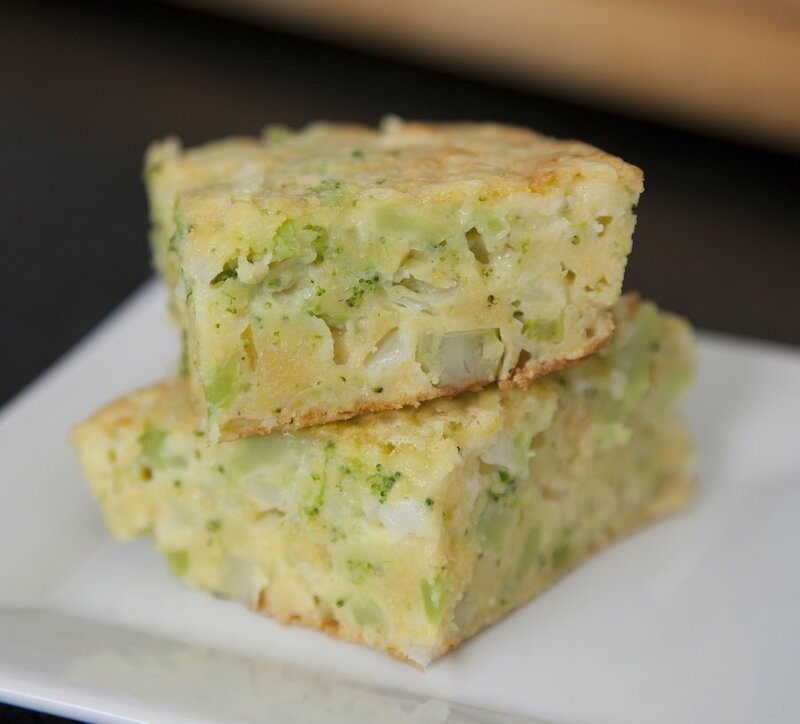 I’ve altered the recipe by adding a little more broccoli than was called for because I personally love broccoli, and the texture it gives the bread is incredibly delicious. Preheat your oven to 360 degrees. In a large bowl, mix all your ingredients thoroughly. 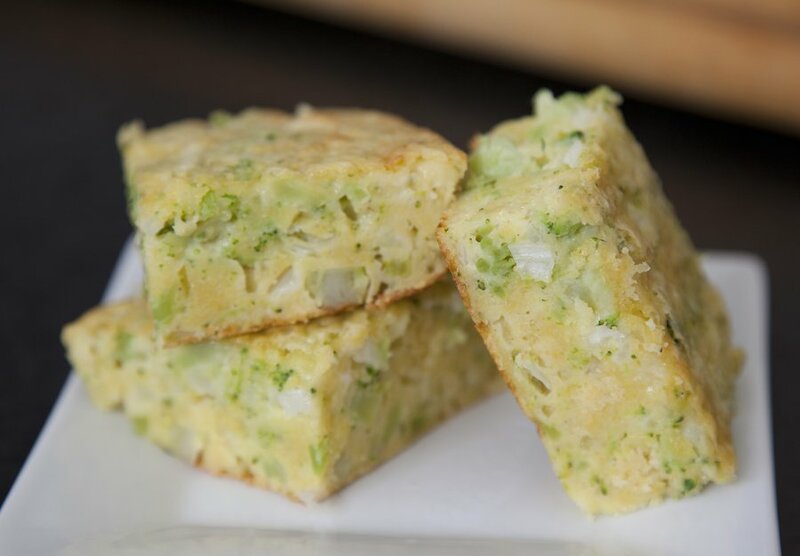 In a greased or sprayed baking dish, pour in your cornbread batter. 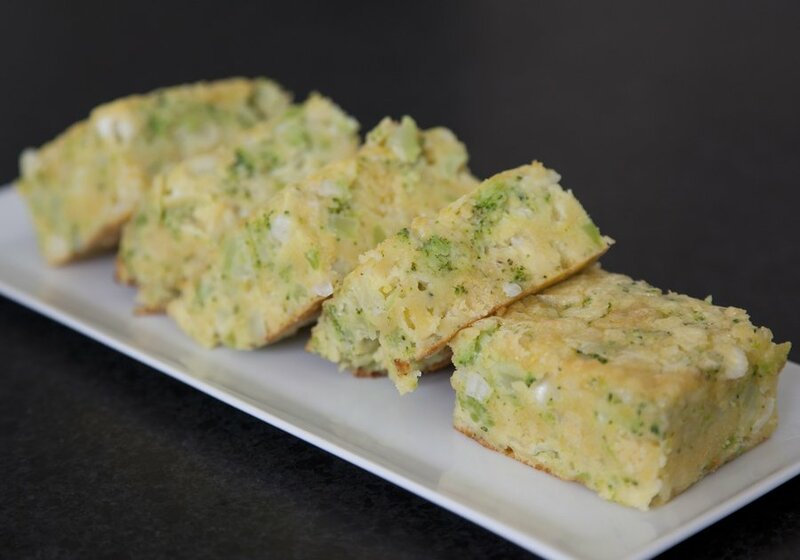 Depending on how deep your dish is, start out by cooking your cornbread for 20 minutes. Check with a toothpick in the center to see if it’s done. My baking dish is a 10x7 Pyrex (which gives you an 1 ¼ thick bread) and I had to cook it for 32 minutes. 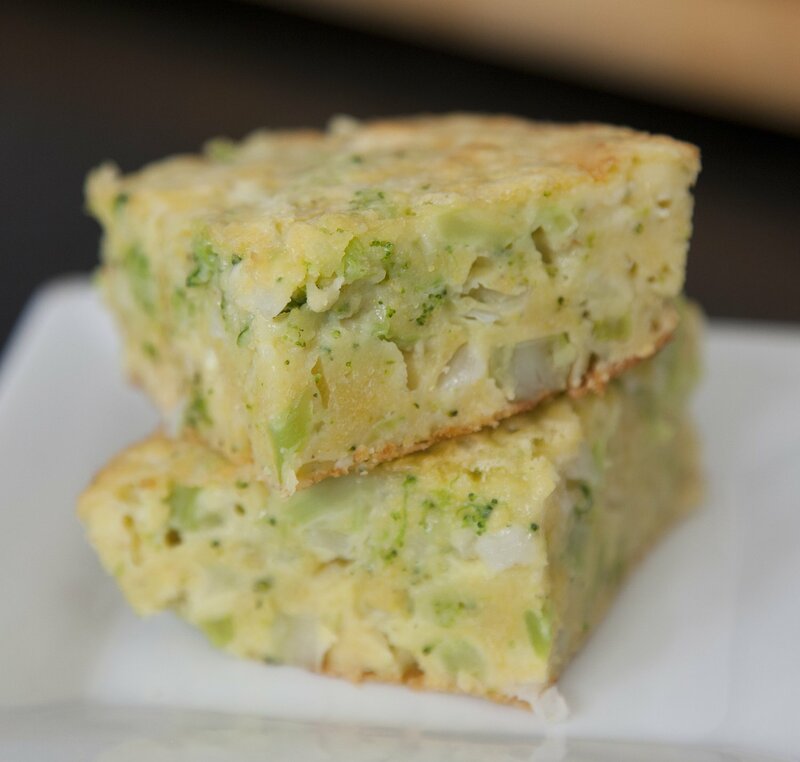 You can serve it with butter, but it’s so flavorful and moist that it can just be served alone!